Our Adaptive Dynamic Learning (ADL) modeling system has been hot. 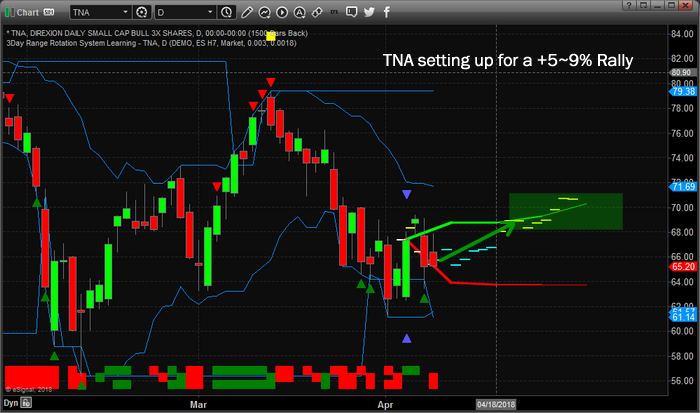 Now we want to share something super exciting with all our followers – a super trade setup in the ES. Our research team at Technical Traders Ltd. has identified what may be one of the best trading signals we’ve seen in a long time – a potential +100pt move. That’s right, our advanced predictive modeling system is been calling a bottom in the markets for over 10 days now and we believe the following charts show us the that S&P will be one of the leaders in the move higher. Therefore, we want to urge our followers to be prepared for a potential 100+ pt upside move in the ES within the next 3~5 days and to trade accordingly – we certainly will be. This chart shows us the ADL price modeling system at work. We can see that the ADL price modeling system is showing a very strong potential for an immediate price rally to well above 2700 on the ES. Monday’s close is 2616. We believe this trigger price anomaly is an exceptional opportunity for traders to identify and capture a rather lengthy upside price move over the next 3~7+ days. 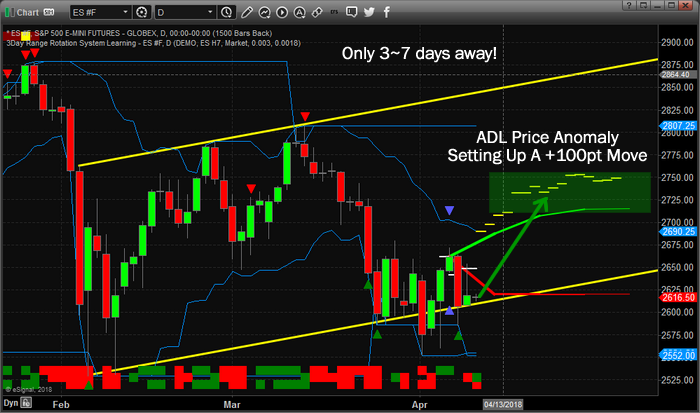 Additionally, our ADL system is showing that this move may be isolated to the S&P. Other price modeling results show more muted bullish price outcomes. This happens sometimes when the market dynamics are diverging a bit. Not every market moves in a similar range. Sometimes the NQ will move 2~3x the range of the other major indexes. Still, a +5~9% rally in the Small Caps is a decent move. One should never complain about a solid profit on a trade that lasts less than 15 days. Want to know what we’re telling our valued members is going to happen next week and the many weeks that follow? Visit www.TheTechnicalTraders.com to learn what we offer our members and to learn how we can help you spot these move days or weeks in advance.